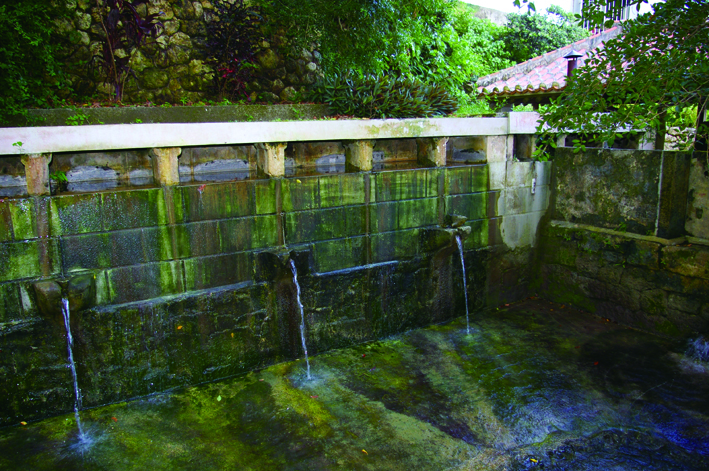 Springs were an important source of wealth in Okinawa in old days as water was scarce. Nakandakari Hijya (Spring) in Nanjo City in the southern Okinawa is a communal well that was constructed around a natural spring almost 100 years ago. 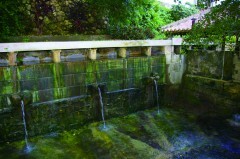 It was an important resource for the surrounding village and is still used for irrigation. It is a famous sightseeing site in Okinawa.